We're wondering if the University of Southern California Thornton School of Music is the new barihunk breeding ground. Previously we featured Austin Thompson and Kevin Blickfeldt, who both created quite a bit of buzz when we posted them. A reader has now submitted David Castillo, a 2011 Metropolitan Opera National Council Regional Finalist and a Masters student studying with fellow barihunk Rod Gilfry. Castillo was the 2012 Encouragement Award recipient from the Palm Springs Opera Gild Voice competition. 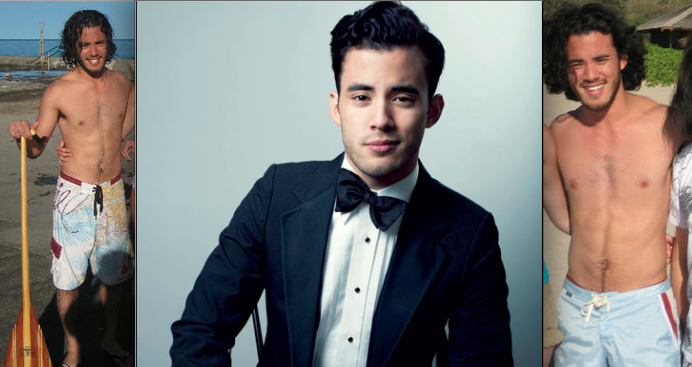 As far as we can recall, he's our first Filipino-American singer featured on Barihunks. The New Orleans native received his Bachelor of Music from Loyola University New Orleans, where he made his professional debut in 2011 as Old Gypsy in Il Trovatore with the New Orleans Opera and Bill Bobstay in H.M.S. Pinafore with the Louisiana Philharmonic Orchestra. In 2010 and 2011 he was with the Hawaii Performing Arts Festival, where he has performed the roles of Marco in Puccini's Gianni Schicchi, Le Fauteuil and L’Arbre in Ravel's L'Enfant et les Sortilèges, and Liberto in Monteverdi's L’incoronazione di Poppea. On April 7th, Castillo will head south from L.A. to perform in the Palm Springs Opera Guild's 15th annual “Opera in the Park”. 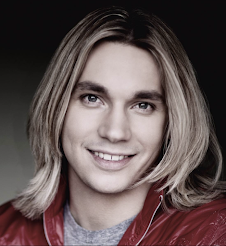 He will join other artists in a performance of arias accompanied by a live orchestra. He then returns to USC to perform the Second Commissioner in Poulenc’s The Dialogues of the Carmelites. Performances run from April 25-28. Fans on the East Coast can catch him this summer at the Green Mountain Opera Festival in Vermont. He'll be peforming Sid in Britten’s Albert Herring, covering fellow barihunk Michael Mayes in the title role in Mozart’s Don Giovanni and performing as a soloist in the Emerging Artist recital and the annual gala concert. The Don Giovanni will also feature Tom Corbeil as Leporello and Jonathan Lasch as Masetto, both of whom have appeared on this site. Keith Phares in world premiere of Paul's Case!